Mali Mish - Day 41: Looking for a campground in the rain near St. Paul. Day 41: Looking for a campground in the rain near St. Paul. 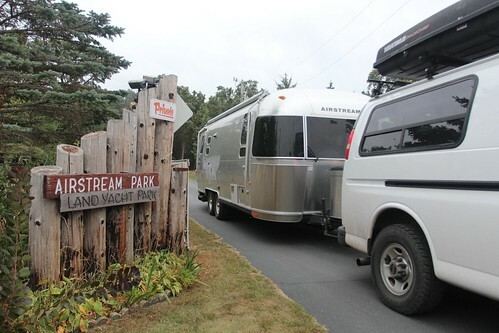 This morning we are finally leaving the Minnesota Airstream Park. We had five great nights here and all of the people we met couldn’t have been friendlier. If we lived in Minnesota, we would be very tempted to buy a lot of our own. After talking to a few of the owners here, I am getting a little clearer picture of how things work here. Each lot is owned by a shareholder and they are sold based on what the lot comes with. 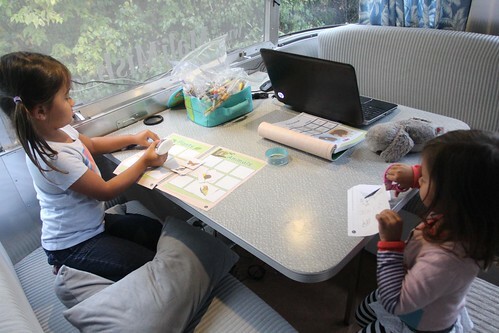 The prices range anywhere from $4,000 to nearly $20,000 for lots without Airstreams. For example, a gazebo costs about $9,000 in materials and labor to build and that is a big price difference depending on if one is included. The park opens each year in April and closes at the end of October. 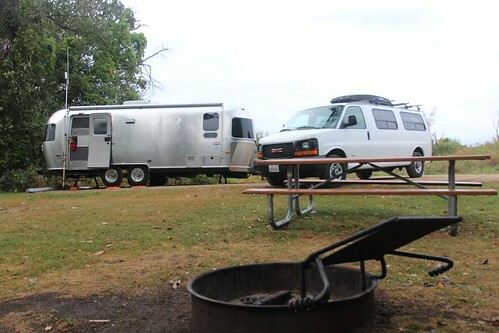 Every Airstream must vacate the park and cannot return until the following April. That gives each owner about a 7-month long season each year. Aside from the cost of buying your lot, there is also an annual maintenance fee that each shareholder must pay. It runs just under $1,200 a year and it covers the maintenance of all of the community equipment and facilities. Every owner must also pay for their own utilities on their site which varies based on how much is used. When a site is empty, it can be rented to visitors but it is assigned by the park’s management staff per each reservation. 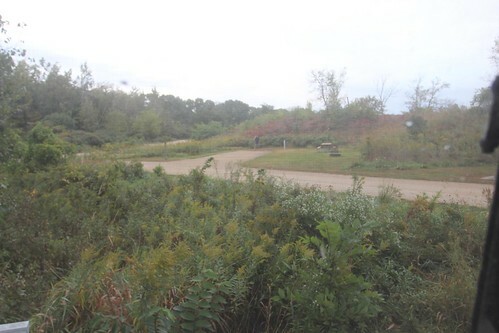 The park and owner split is 60/40 favoring the park. At $25 a night, the owner only gets about $10 per each night rented. To just cover the cost of the annual maintenance fees, you would need to have your site rented for at least 15 nights a month for the 7 months that it is open. So the bottom line of what I learned with ownership of the Airstream Park is that you will need to spend at least 2 months a year here to make purchasing it worth your while. Otherwise, just come here and rent a space as you’d like. At $25 a night for a full hook up site, it is a great deal. You get to use all of the facilities like the heated swimming pool, fishing ponds, clubhouse and best of all, unlimited golf! That’s right, you don’t have to pay per round when you are staying here. You can simply just walk on the course with your clubs and swing away to your heart’s delight. Too bad for me, Marlene ex nay the idea of me bringing my clubs on this trip. I wasn’t going to be able to use it enough to justify carrying it all across the country. 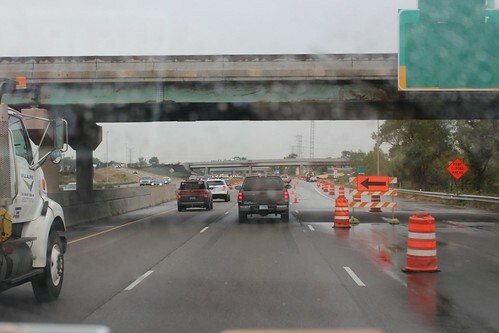 As we exited out of gates, we turned east and headed towards the Twin Cities for a campground closer to our friends Chris and Jen’s in St. Paul. The drive is about 70 miles and we are headed to the east end of the cities. 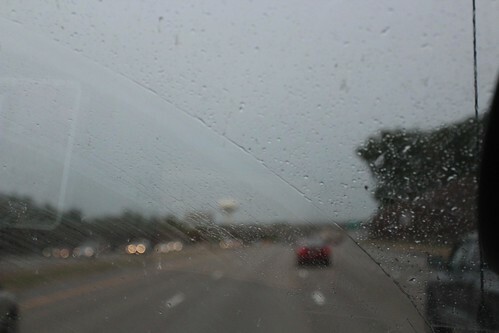 It started to rain today which made our trip a little slower but we didn’t mind. We are still in the ‘taking it easy’ mode and the rain is hopefully helping to wash off some of the bugs we have been collecting on the grill and bumper of the van. 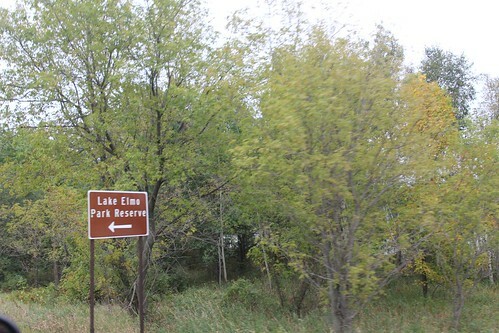 We have been doing some research about where to stay and the closest park we found that looked nice was a county park just 8 miles east of Chris and Jen’s called Lake Elmo Park and Reserve. It has a beach right at the lake and even though there are no water and sewer hookups, it does have 30-amp electricity. After a slow drive through rain and traffic of the Twin Cities we made it to Lake Elmo. The park is actually quite beautiful. We were really looking forward to exploring the area for the next few days… until we park and walk into the park office to ask for a site. The first thing they ask you is if you have any pets or firewood. This is always a tricky question because clearly they are asking for a reason. This is our second time traveling across the country with our cat Yoda and not once has she ever left the Airstream. So in practical terms, our cat is indoors and any policies related to pets at campgrounds have no practical applications. A number of times in the past, we have just told the campground management exactly that and that she will never leave the Airstream. On very few occasions, we will conveniently leave that information out if the campground seems like they are not very tolerant. Generally speaking, public parks like this one are not really strict when it comes to pets. After all, many people choose traveling in an RV because they can do it with their pets. Well, not so at Lake Elmo. For the first time ever, we were turned away at the gate because we decided to be honest about our cat. It is a Wednesday, two weeks after labor day and the park was deserted. None of that mattered to the park staff. We have a cat and they have a pet policy. That means our only option was to turn around in the rain and look for another campground. 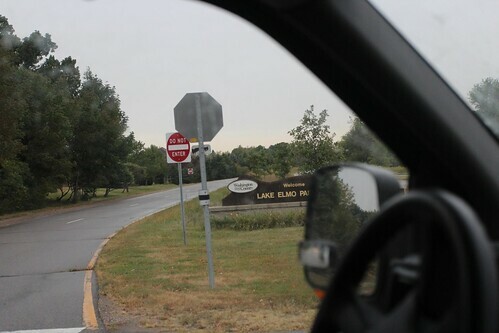 A few days ago when I was researching campground options, I had narrowed our choices down to Lake Elmo and Lebanon Hills. Lake Elmo was our first choice for the only reason that it is closer to St. Paul. 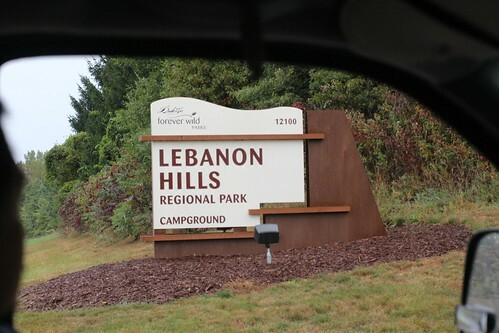 Lebanon Hills is about twice as far but I actually thought it had a nicer campground. We drove the 25 miles from Lake Elmo and easily got a site here and they were glad to accommodate us and our cat. As a matter of fact, there were two dogs in the registration office hanging out with the park staff. For $30 bucks a night you can get a full hook up site here or for $5 less, you can just get an electric only one. We chose an electric only one at the outer loop that was practically empty so we can pretty much have the whole place to ourselves. I am pretty excited to be camping near the Twin Cities because it is one of the few cities with Sprint’s WiMax 4G service (That they are actually starting to phase out in favor of the faster LTE standard). Since we left Denver, I have been slowly piecing together a new 3G/4G Internet setup. I ordered a new USB stick from Millenicom that is also compatible with 4G. I also had a package from 3GStore.com come in when we visited St. Paul a few days ago that has my new antenna, cables and the Pepwave Surf On-the-Go router. As compared to my old Cradlepoint, this one also works as as WiFi bridge and it worked fantastically at the Minnesota Airstream Park these last few days. Here at Lebanon Hills, I was able to set up the antenna on top of my 12 ft. extendable painter’s pole and got some 4G to come into the park. So far it is working great. I will do a more thorough report of the new system in another post. We quickly set up camp and the girls got busy working on some projects while I caught up on some more work that has been chasing me via my phone on our day here. Luka was busy pushing that first tooth out his through his gums. If you look closely, you can see a little faint white line just under Marlene’s left index finger. This is probably going to be our last stop in Minnesota. After our 4 night stay here, we will continue to head east into Wisconsin. The plans for the next month or so is starting to solidify. We are hoping to make our way around Lake Michigan to make as many waterfront stops as we can squeeze in. Once we get around to the eastern shore, we will dash across Michigan and start our way south. In about 6 weeks, we should find ourselves in Louisville, Kentucky getting ready for trick or treating with the kids. At least that is the plan for now. Day 40: A day trip to St. Cloud, Minnesota. Day 42: Back to St. Paul for some exploring. 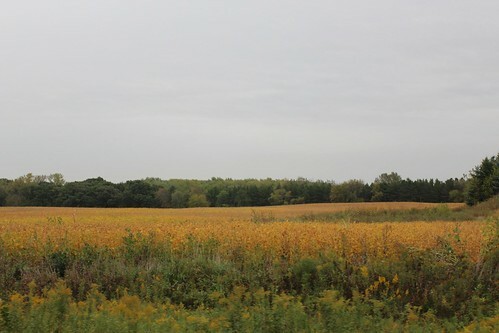 11 Responses to Day 41: Looking for a campground in the rain near St. Paul. 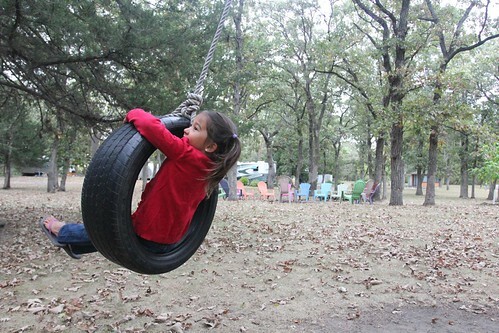 We stayed at Lebanon Hills campground at the end of July. A really nice place with friendly staff (and as you reported they had no problems with our big furry companion). The campground was really full the weekend we stayed so we ended up in a site tucked in the woods and had a hard time getting a 3G signal. Sounds like your site is more open. Interested to hear more about the 4G stick from Millenicom. We have the 3G now and are thinking of upgrading. If you have time you should check out the Minnesota zoo. It’s only a few miles from the park and has great indoor and outdoor exhibits. We spent a whole day exploring the place. Enjoy! Hi Amanda! Yes we are enjoying it here at Lebanon Hills. I can imagine this place being very busy during the peak season. Our phones are having a tough time with 3G but our new setup with Millenicom is working great here. It is the 3G/4G Unlimited Plan with the Franklin U602. They were running a special with no charge for the USB stick so I bit the bait. You can see in that photo above showing the van and the Airstream with the fire pit in the foreground that I have a 12 ft extendable painter’s pole with a full spectrum omni directional antenna mounted on top. It is how I am getting reception here. Without it, there would be hardly a signal. It is still too soon to say that this will work well in other places but it is getting much faster 4G connection here. Marlene is using it to catch up on her soap operas streaming from the ABC website without any problems. Hope you guys are having fun on the west coast! Some friends we met at Alumafandango, Frank and Debbie, are also in Oregon and will be headed down to California soon. Their blog is at http://streamingtogether.blogspot.com. It sounds like owning an RV lot is a lot like owning a boat. It’s better to have a friend with a boat! 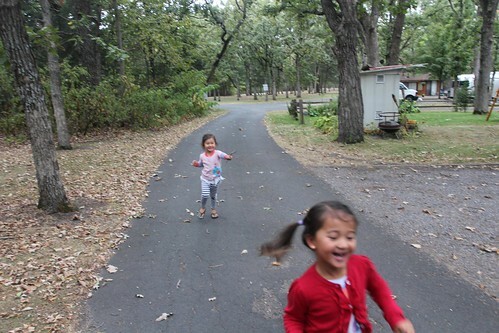 stop the Presses – St. Paul East RV Park is the way to go outside of St. Paul. It’s in Woodbury, right off of 94 – pretty sure it’s still open for the season – excellent amenities, great kid stuff, great staff – and a only a bike ride from Trader Joes. . . . We stayed there almost 10 weeks this summer wrapping up loose ends from a quick exit. . . . check them out! What a difference a couple of weeks makes! I looked at all of the county campgrounds prior to our stay in the Maple Grove KOA and MN Airstream Park, and they were all completely booked up. Good timing, to come after Labor Day and school’s in! I am glad you are caught up on the blog. That is a lot of pressure with the kids, work and a daily entry. At least you don’t have a commute. We hope to see you as you near our neck of the woods either with the Troutstream or at stately Trout manor. Early fall is about the best time to visit Ohio and Michigan. Safe travels. @Frank – It’s like that but boats are MUCH worse! @Nick – Where were you yesterday!?!? Well, if we stay longer we will check out St Paul East. Actually we are headed to Trader Joe’s tomorrow to stock up on food and wine so we can check it out then. @Kerri – Yeah, we have been really lucky in the last few weeks before and on labor day. I have been looking forward to now with all of the campgrounds opening up. @Doug – It is a lot of work to keep up with it all but I just know that if I didn’t do it, we will all regret it when the kids are older. We got behind on the last cross country trip towards the end for the same reason when we had bad reception in Oklahoma. Let’s hope we do better this time! Krista, did you say Anthropologie and beer?!?!? We will be there!!! Wausau is where my mom was born and raised until she was 10 and moved to Southern California!! It’s why I have a hint of a midwest accent with certain words from time to time! haha. I will have to tell her you are stopping there. Wish I could see it too!